The next (and largest) step is to begin the actual management of the small estate. Note: This article only covers the administration of small estates. Once all of the required documents are filed, the Register of Wills may issue “Letters of Administration,” which establishes the validity of the decedent’s will (if one exists and is filed with the Register of Wills) and appoints the personal representative. Starting on the date the “Letters of Administration” are issued, there are set deadlines that the personal representative must meet in managing the estate. The personal representative also has the duty to make reasonable efforts to find out if the decedent died with outstanding debts and mail or deliver a notice to the decedent’s creditors. The notice that is given to creditors is published in a paper by the Register. The personal representative doesn’t need to contact every creditor individually; the publication is their notice. The only creditors the personal representative needs to contact are the secured creditors. If the unsecured creditors don’t file a claim within the estate within 6 months of the date of death, they are barred from collecting the debt. Depending on the county the estate is opened in, the personal representative should also be prepared provide the Register of Wills with enough copies to of the “Notice of Appointment” that was published in the newspaper so that the Register of Wills office can mail a copy to each “interested person” within the 20 days after the personal representative’s appointment. The decedent’s property that is passed to others outside of the will and the estate, such as accounts the decedent owned with a named death beneficiary and assets passing by trust. Examples of these types of assets include: jointly titled property (e.g., “Joint Tenants,” “Tenants by the Entireties,” etc. ), Payable-on-Death (P.O.D.) accounts, annuities, employer-sponsored pension plans and retirement plans, non-freehold interests in real property (e.g., life estates and estates for terms of years). Interests in real property located outside of the State of Maryland. State law allows the decedent’s creditors to file claims against the estate or bring a lawsuit for the Person’s unpaid debts as long as this is done by the required deadline. A creditor may present a claim against an estate by filing it in the Register of Wills office and serving a copy on the personal representative or filing a lawsuit. The general rule is that a creditor must present any claim within 6 months after the decedent’s death. However, the personal representative can mail or deliver notice to creditor that creditor’s claim will be “barred” (prohibited by law) unless the creditor presents the claim within 30 days (for a small estate) from the date that notice is mailed or delivered to that creditor. There is also a different rule for claims filed by the Maryland Department of Health (MDH), if the decedent received benefits from the Maryland Medical Assistance Program. In that case, MDH has 6 months after publication of notice of the first appointment of a personal representative (not 6 months from the date of death). The personal representative can still shorten this time somewhat by mailing or delivering a notice to the Department’s Division of Medical Assistance Recoveries (now known as the Division of Recoveries & Financial Services). The notice must tell the Department that the claim will be barred unless the Department presents its claim within 2 months (not 30 days) from the receipt of the notice. Claims that are not presented by the creditor within the required window of time described above after notice is given are considered “late” and therefore not entitled to be paid or satisfied by the estate. To learn more about the notice that the personal representative can send, see Md. Code, Estates & Trusts § 7-103. Maryland law allows a surviving spouse to elect to take a specific share of the property in the Person’s estate - even if the decedent leaves a will. 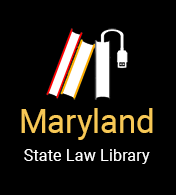 This step only applies if the decedent was legally married to his or her spouse at the time of death - Maryland does not recognize common law marriages. One-half of the net estate if there are no children. Within 6 months of the appointment of the first Personal Representative by will. If more than 4 Letters of Administration are necessary, each additional copy will cost $1.00. Value of small estate less than $200, the fee is $2.00. A will, the Maryland intestacy laws, or a combination of both controls the distribution of the decedent’s property. If the decedent’s will was accepted by the Court, then the estate will be distributed according to the terms of the will. Even when a decedent dies with a will, the people who would have been that decedent’s heirs under Maryland intestacy law are entitled to notice of any activity in the estate, including distributions, to allow them to address legitimate objections and concerns, such as challenging a will that is fraudulent or invalid and removing a personal representative failing to meet his or her duties. When someone dies without a will, that means he or she has died “intestate.” Maryland law designates who will inherit property from someone who dies intestate. Maryland law also sets out a priority of who inherits property first and the percentage of the decedent’s property each person has the right to inherit. If there is no valid will, the personal representative must distribute the property according to Maryland intestacy law. The personal representative is not guaranteed to take any of the decedent’s property, and the personal representative of a small estate is not entitled to compensation for his or her work in administering the estate.